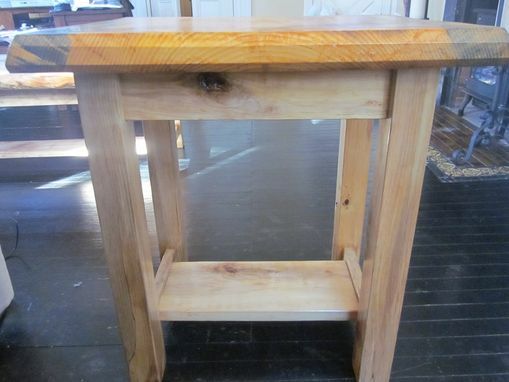 This listing is for one end table. Matching set is available. Handmade in New Hampshire with locally produced materials. Durable tables with an equally strong finish. 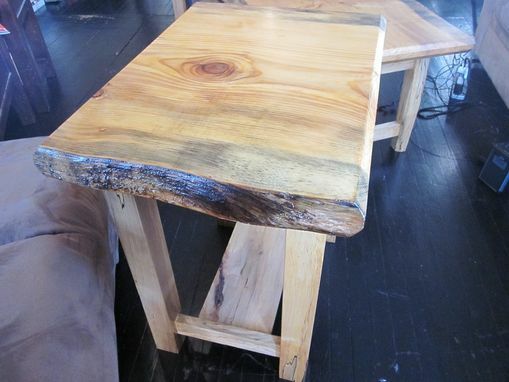 Live edge pine table top with spalted maple frame. 2 inch pine slab from the near center of the tree. 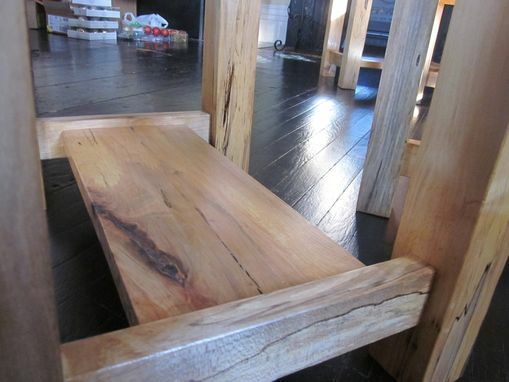 Materials are from a local New Hampshire saw miller who cut, covered and air dried all from his property. The bark was removed just prior to finishing leaving amazing colors running along the grain, highlighting the beautiful curvy edge created by the natural growth of the tree. 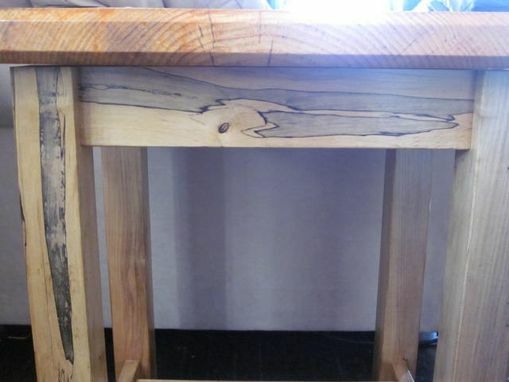 The frame and legs are spalted maple from the same saw miller. The tree lay felled for four years as the colors developed flowing along the the grain. The tree was then milled and air dried to capture the peak colors and patterns. Some portions even have extremely rare curly maple mixed into the grain. The maple frame was finished with a special dying and sealing process that pops the curly maple grain while preserving the natural spalted colors! The process allows the grain to shimmer in the light revealing the amazing intricacies of the wood grain.